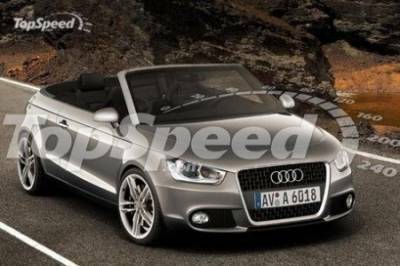 The rumors about Audi A1 Convertible began to circulate even before the moment when the German automaker has approved the standard in the market hatchback A1. But now the British publication AutoCar offers the first details on this model. According to the head of Audi, Rupert Stadler, the full cabriolet car the public does not see, because it is too expensive. But a spokesman for Audi's assured that the hatchback, whose roof will be opened in half, the result will be. Moreover, Audi introduced the first sketches of the model with a removable roof rag that gave rise to new rumors about what the roof will have an electric drive and a bare 80% of the space. Fold back the same roof will be pressing a button.